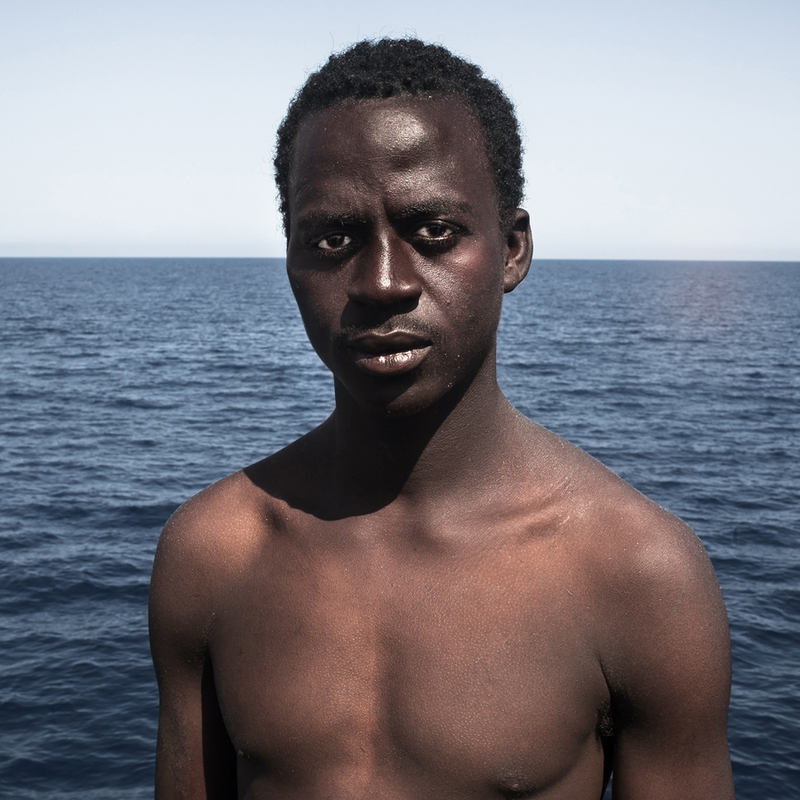 César Dezfuli (Spain), Passengers, 2016, On 1st August 2016, 118 people were rescued from a rubber boat drifting in the Mediterranean Sea, 20 nautical miles far from the Libyan coast. One more of the hundreds of boats that have been rescued from this migratory route in the past years. But who is behind these numbers? What is the identity of the victims and survivors of this trip? In an attempt to put a name and face to this reality, to humanize this tragedy, photojournalist, César Dezfuli, whose work has been internationally recognised, with awards such as the Taylor Wessing Portrait Prize (UK), and Picture of the Year International (USA), as well as published in several media as Time Magazine, The Guardian, and The New York Times, carried out this series of 188 portraits, of all the people who travelled on board the same boat, taken minutes after their rescue. The displays and exhibitions will show interpretations of this year’s festival theme in the form of documentary, editorial, experimental imagery, fine art, landscape (coastal, rural and urban), photo journalism, portrait and street photography, along with archival imagery. Submissions from students and young people will showcase their developing artistic and technical skills. 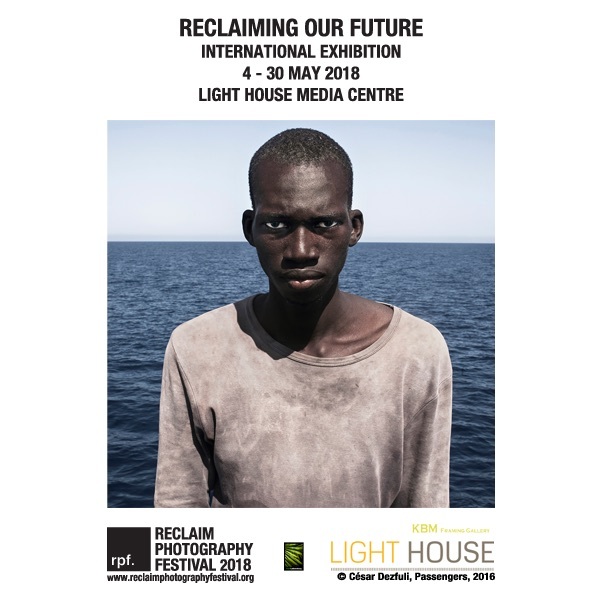 This year the festival is proud to announce the Light House Media Centre, Wolverhampton, will open the festival with a special month-long gallery exhibition, RPF2018, Reclaiming Our Future, from 4-30 May 2018, showcasing a selection of prints from nineteen regional, UK and internationally exhibiting photographers, in response to the festival open call Reclaiming Our Future. (The Netherlands), Mattia Vacca (Italy), Paul Castro (UK), Hiro Tanaka (Japan), Rachael Bint (UK), Zeng Ge (China), and Vera Hadzhiyska (Bulgaria, UK). After the success of our second festival in 2017, our aim was to continue to offer a completely inclusive and democratic festival with participation from amateur, student, professional and internationally exhibiting photographers, in addition to offering events, exhibitions, talks, professional work experience opportunities and awards. 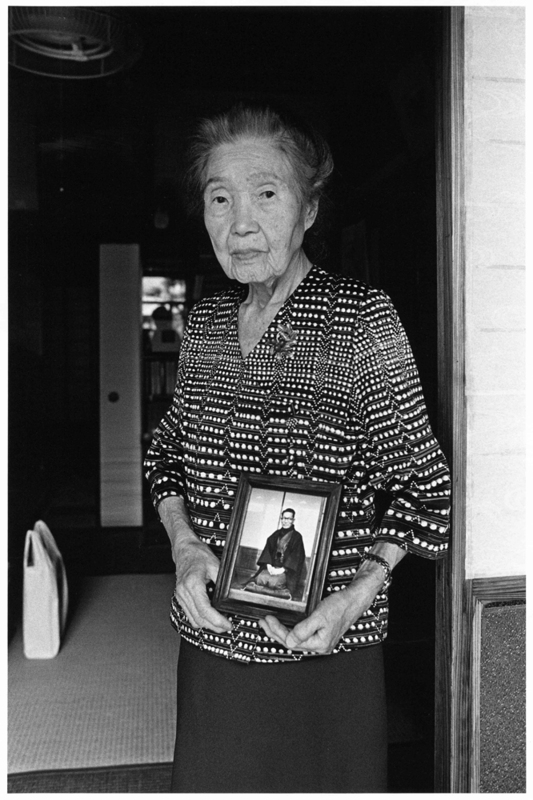 ©Atsushi Fujiwara (Japan), Nangokusho, 2009 & 2010, These images are from my photo book NANGOKUSHO –ode to the southern lands of Japan- SOKYOSHA 2013. I set my foot on the land of Kagoshima triggered by one poem book left by my grandfather. Beautiful Kagoshima before the War captured by the poem of my grandfather who lived all his life as a school teacher and also as a poet under Hakushu. Nature has not changed, but on the contrary, the impression of this regional city and lives of people are quite exhausted. Camera captures Kagoshima of today as it is. 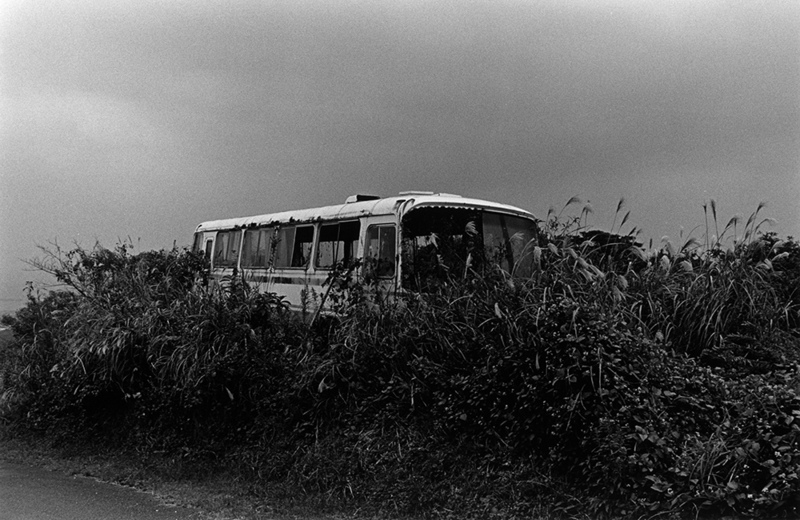 ©Atsushi Fujiwara (Japan), Nangokusho, 2009 and 2010, These images are from my photo book NANGOKUSHO –ode to the southern lands of Japan- SOKYOSHA 2013. I set my foot on the land of Kagoshima triggered by one poem book left by my grandfather. Beautiful Kagoshima before the War captured by the poem of my grandfather who lived all his life as a school teacher and also as a poet under Hakushu. Nature has not changed, but on the contrary, the impression of this regional city and lives of people are quite exhausted. Camera captures Kagoshima of today as it is. ©Hiro Tanaka (Japan) Around 42nd and 7th 3 2017, Times Square attracts many different people from everywhere, and the area gives me the illusion the site has everything from everywhere. Borders between people across race, gender, distance, time, sound, smells, and emotions, with all kinds of activities, merge together to make one big stream. Born and raised in Japan, I have lived in the US for several years. I had an interesting coincidence that led me start taking photographs by accidentally winning a free trip to the US through a raffle at a shopping mall in Tokyo. I got in the van and travelled with punk bands in the US and across Europe. I acquired my first camera from one of the band members while touring and started taking photographs. 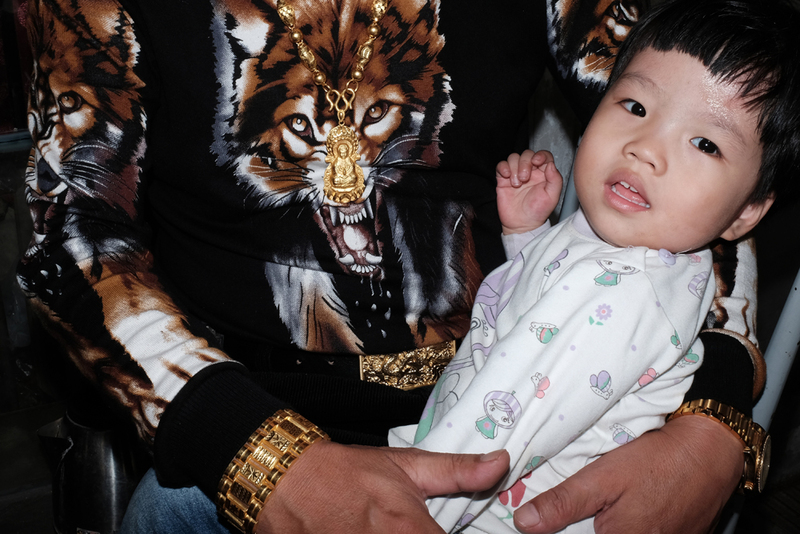 I have been awarded several grants and awards, and exhibited work at international photo festivals. 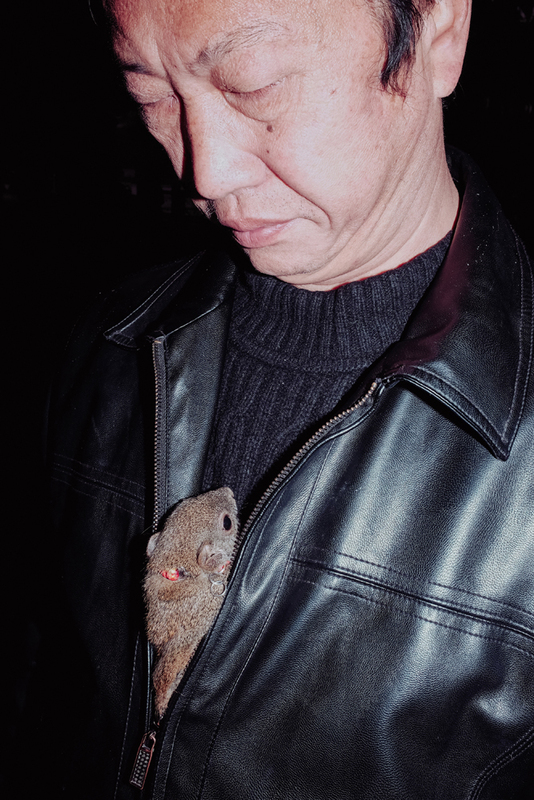 ©Hiro Tanaka (Japan) Around 42nd and 7th 4 2017, Times Square attracts many different people from everywhere, and the area gives me the illusion the site has everything from everywhere. Borders between people across race, gender, distance, time, sound, smells, and emotions, with all kinds of activities, merge together to make one big stream. Born and raised in Japan, I have lived in the US for several years. I had an interesting coincidence that led me start taking photographs by accidentally winning a free trip to the US through a raffle at a shopping mall in Tokyo. I got in the van and travelled with punk bands in the US and across Europe. I acquired my first camera from one of the band members while touring and started taking photographs. 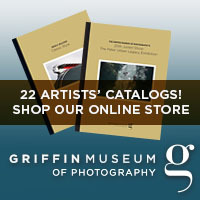 I have been awarded several grants and awards, and exhibited work at international photo festivals. ©Ashley Carr (UK), Urban Malaise Series 3, 2018, I have been a commercial photographer for 13 years; however, the work here is part of a personal three-part project started in 2016. 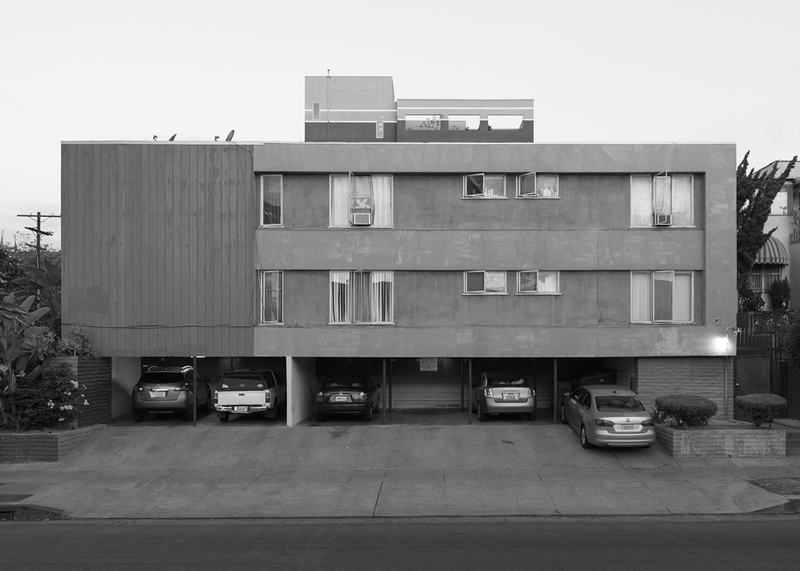 The project ‘Urban Malaise’ looks at the areas of ‘Work’, ‘Home’ and ‘Play’, and reveals narratives concerned with these areas of our daily lives. 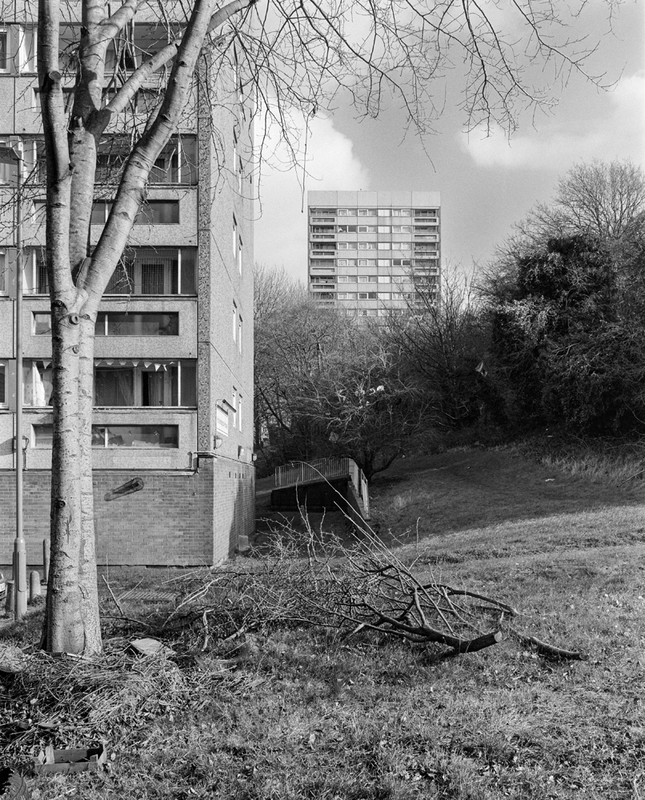 The ‘Urban Malaise’ project serves as an archive for areas of my home city of Birmingham that are slowly disappearing. Much of our industrial heritage and its architecture is slowly being replaced with residential and commercial properties ahead of the completion of the HS2 rail line. 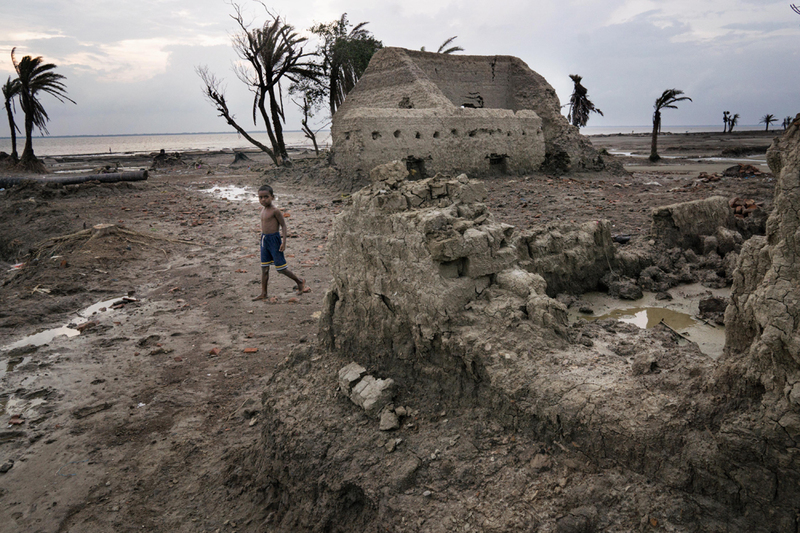 ©Arka Dutta (India), The Devastation in Baliara, Mousuni, 2017, The Baliara locality in Mousuni Island, bears a look of devastation from repeated tidal flooding. Mousuni island, located at Gangetic Delta in West Bengal, India, stands quite vulnerable. It’s disappearing due to sea level rise. The immediate effect of sea level rise is ever increasing tidal flooding and the banks of the island is getting wasted by these tidal floods. Homes have disappeared, lands are getting overwhelmed by encroaching mass of water and people are staring at a bleak future where the probability of them becoming climate refugees looms large. 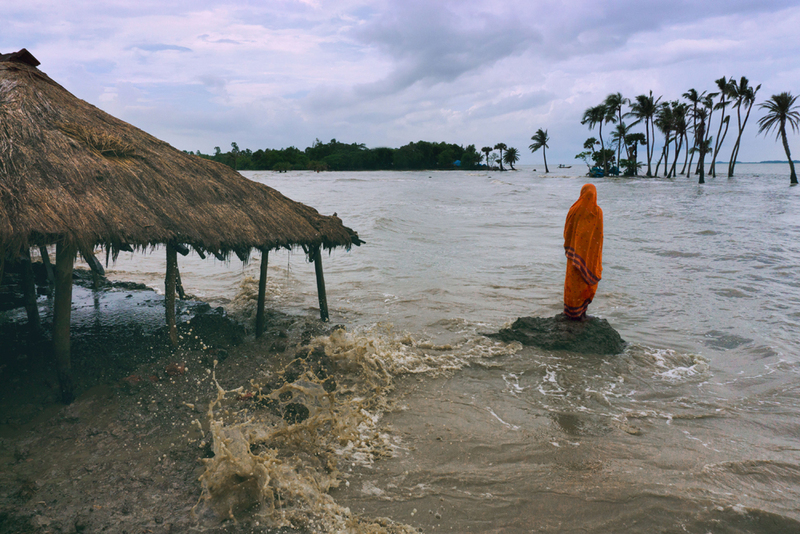 ©Arka Dutta (India), Lost Home, 2016, A local lady stands at the spot where her home once stood in Mousuni Island, which is disappearing due to the ever-increasing tidal flooding caused by sea level rise. Mousuni Island, located at Gangetic delta in West Bengal, India, stands quite vulnerable. It’s disappearing due to sea level rise. The immediate effect of sea level rise is ever increasing tidal flooding and the banks of the island is getting wasted by these tidal floods. Homes have disappeared, lands are getting overwhelmed by encroaching mass of water and people are staring at a bleak future where the probability of them becoming climate refugees looms large. ©Aaron Cole (UK) The Past Resides, 2017, A museum in Jackman, Maine, run by local volunteers, displays its history. Their history is fading into the past as time and age take their toll on the local traditions and the people who hold them dear. Aaron Cole is a Birmingham Urban Photographer who has been taking images around the Midlands for the last 20 years. 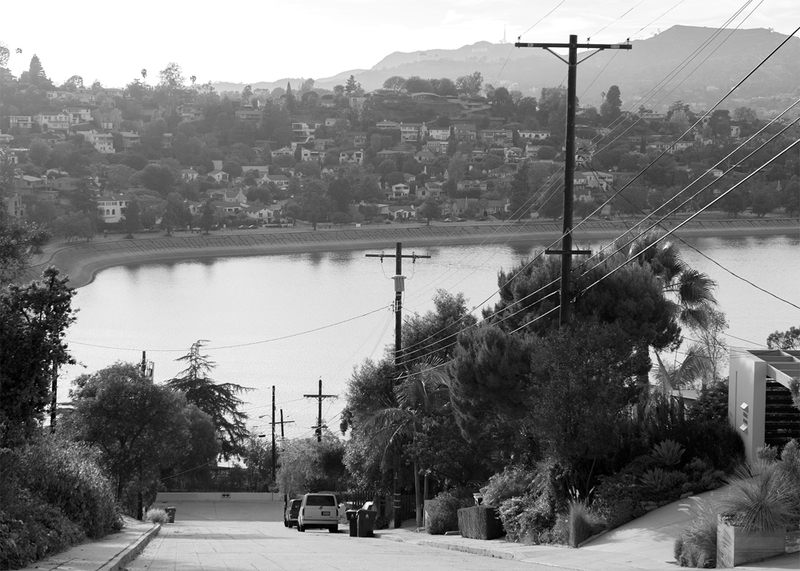 Travelling around America and Canada gave him the opportunity to expand his portfolio by looking into life in North America and the changing values of the people living there. ©Ana Caroline de Lima (Brazil) Modern Times Meets Tradition, 2017, “A white man went to my tribe, came up to me and said: “why do you have a watch?”. I said: “Because I want to. 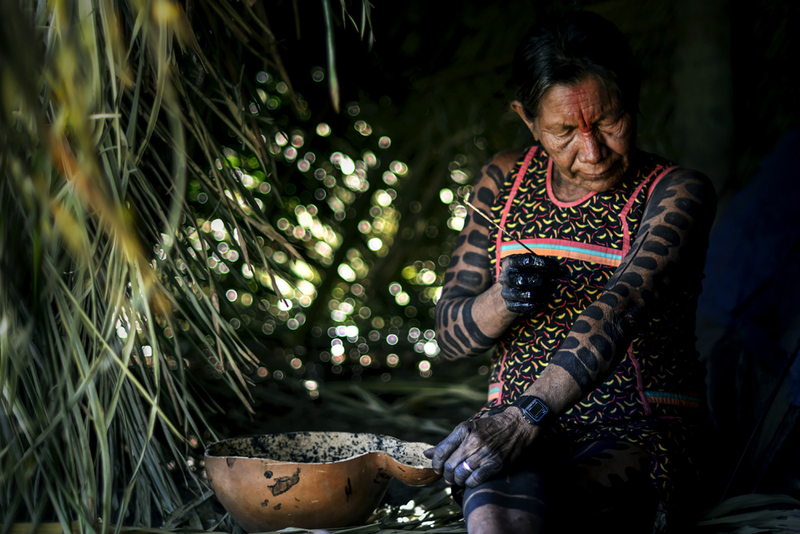 What about you?” Pankhará, a Kayapó indian, tells me ‘white men stories’ whilst finishing her body painting made with charcoal and genipap, inside her tent. This was a good example of how the future may change indigenous communities in a good way, improving their life conditions, yet retaining their cultural values Body painting is key to Kayapo adornment. Black painted areas show social status, and red painted areas are for parts of the body considered as being in contact with the outside world. (Feet, hands and face.) Ana Caroline de Lima is a journalist, post graduated in anthropology and documentary photographer, whose work is focused on the human condition. Born in São Paulo, Brazil, Ana Caroline de Lima is a journalist post graduated in anthropology and documentary photographer whose work is focused on the human condition. 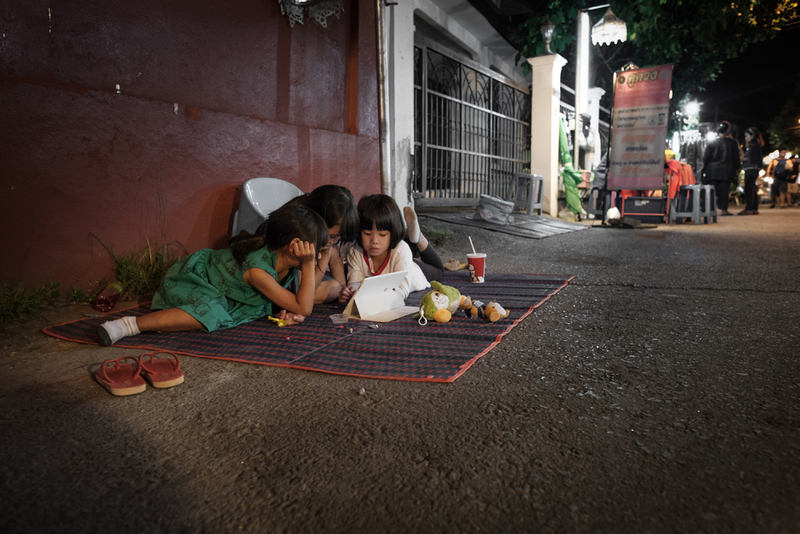 To her, cultural and social immersion plays a crucial role in the documentary process. She has lived in communities in countries such as Yanmar, Ecuador and Vietnam, with ethnic groups such as gypsies, Black H’Mong and indigenous people in South America. Her work has been exhibited in more than 15 countries, in places such as the Getty Museum and Oxo Tower in London. ©Fabio Sgroi (Italy) Palermo Old Harbour, 2006, This series of three images taken in Sicily, is focused on the changes to the coastal and urban landscape, as a result of industry. Past Euphoria, Bulgaria, 2004, is focused on Middle-Eastern Europe and its unstable identity due to the consequences resulting from regimes’ division and from the advent of democracy; everything occurred under the gaze of the media, which today tells about a Europe that is seeking refuge in itself. His interest in photography began in 1985, when, as a self-educated man, he started to take pictures of his peers; boys who were close to punk and the underground culture. From 1986 he worked for a couple of years for “L’Ora”, a daily newspaper in Palermo. From the beginning, he dedicated his work to his own land, Sicily, focusing on religious ceremonies, celebrations and daily life. 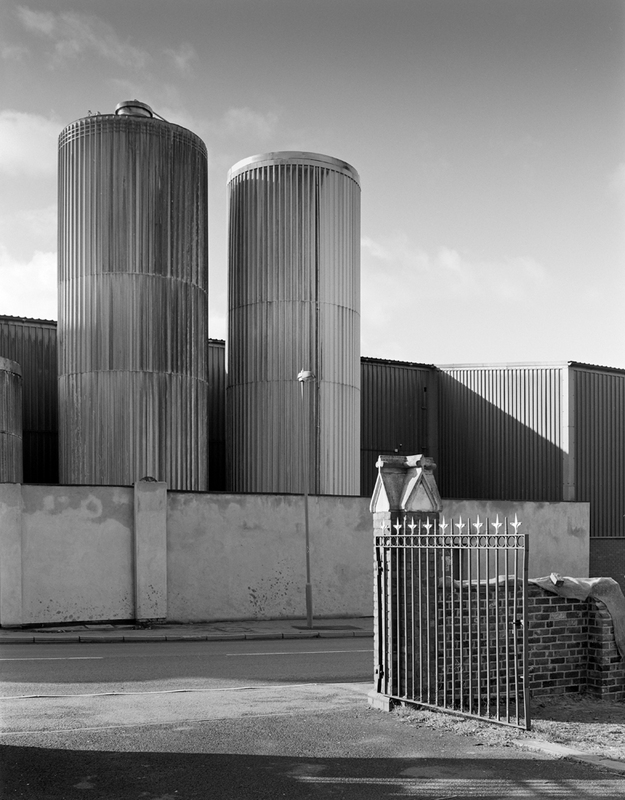 In 2000, he focused on panoramic format, in particular on landscape and industrial archaeology. ©Fabio Sgroi (Italy) From the publication Past Euphoria, Bulgaria, 2004, Focused on Middle-Eastern Europe and its unstable identity due to the consequences resulting from regimes’ division and from the advent of democracy; everything occurred under the gaze of the media, which today tells about a Europe that is seeking refuge in itself. 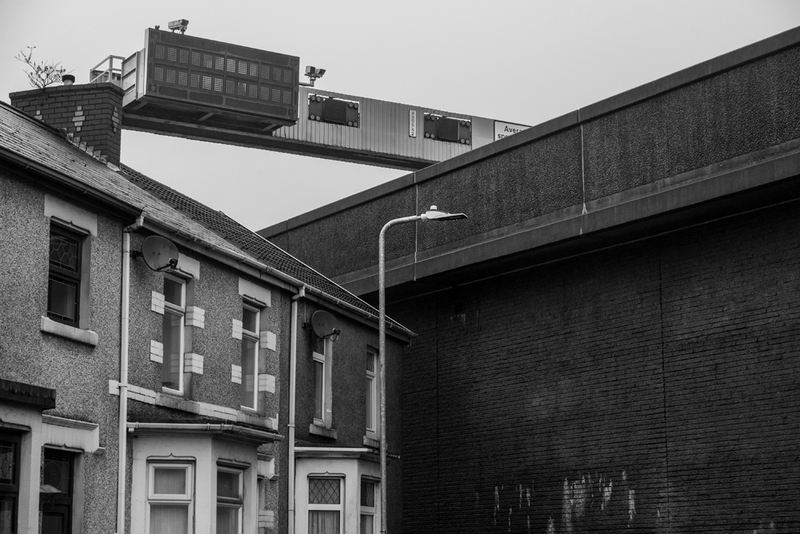 ©Denise Wilson (UK) Slip Road, 2018, From the series: Port Talbot: A Victim of Globalisation, February, 2018. Born in 70s Swansea, I headed west along the M4 to 90s Birmingham. My relocation mirrors the journey of steel produced at Port Talbot in supplying the Midlands car industry. Due to globalization, future production is uncertain and in jeopardy. Moving away from my discipline of live band photography, I was compelled to capture, in a single image, the stature of ‘The Works’ and its importance to the community. 1960s boom time called for improved transport links; the M4 slipway carved through the heart of the town. Today, it stands as a stark reminder of steel production at its pinnacle. Globalisation of steel production has an ever-present impact on this industrial Welsh town. ©Denise Wilson (UK) Heol Yr Orsedd, 2018, From the series: Port Talbot: A Victim of Globalisation, February, 2018. Born in 70s Swansea, I headed west along the M4 to 90s Birmingham. My relocation mirrors the journey of steel produced at Port Talbot in supplying the Midlands car industry. Due to globalization, future production is uncertain and in jeopardy. Moving away from my discipline of live band photography, I was compelled to capture, in a single image, the stature of ‘The Works’ and its importance to the community. 1960s boom time called for improved transport links; the M4 slipway carved through the heart of the town. Today, it stands as a stark reminder of steel production at its pinnacle. 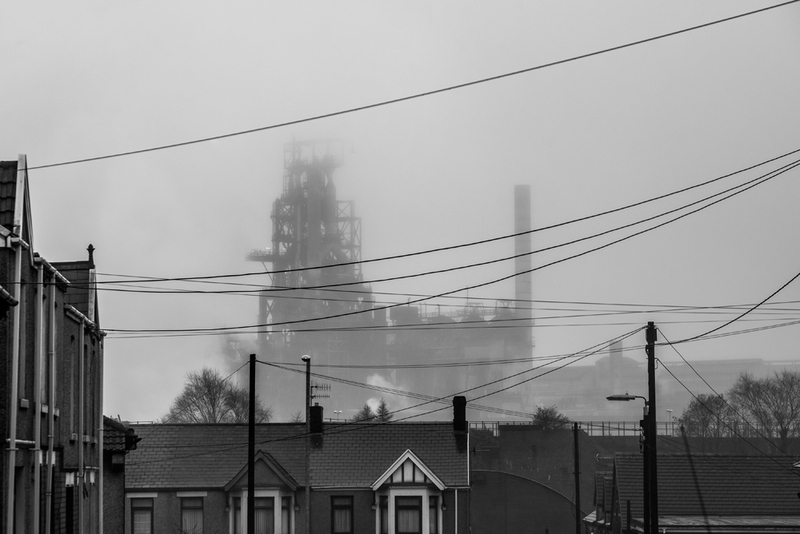 Globalisation of steel production has an ever-present impact on this industrial Welsh town. 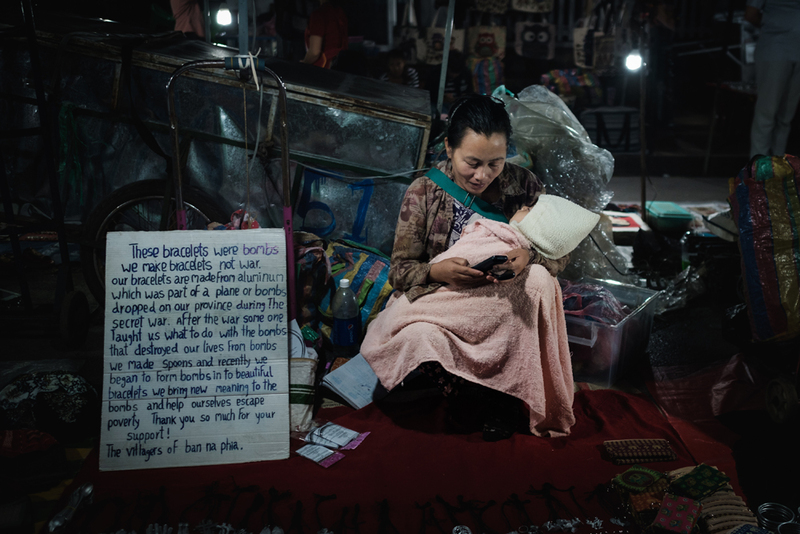 ©João Galamba de Oliveira (Portugal) Technology Conquered Us All, 2017, What most surprised me in South-East Asia was that technology was everywhere: the monks used smartphones even during pray time, the sellers at local markets were always using them, the kids that barely could walk were already playing with smartphones. Born in 1989 in Portugal and living in Timor-Leste since 2013. Since then, João has started making photos. He has received awards in over 40 Portuguese and international contests, including the Silver Award for the Best Portuguese Photographer in the Sony World Awards and International Photographer of the Year. He has published a photo book about Timor-Leste, with preface by Xanana Gusmão (former leader of Timorese resistance against Indonesian occupation, then President and later Prime-Minister after independence). 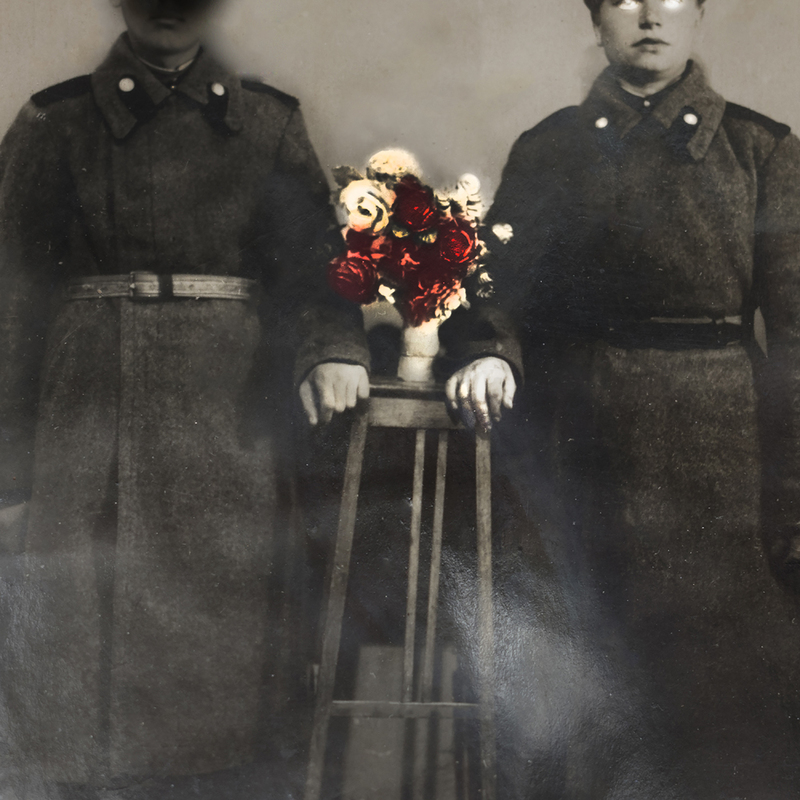 ©Lesia Maruschak (Canada) Erasure Red, 2017, RED is – fragile image with torn edges – point to narratives of vulnerability, betrayal, and death in Ukraine under Soviet rule. The series underscores the theatre of political power and the creation and maintenance of societies of fear. LESIA MARUSCHAK – art collector, curator, and educator, creates unique photography-based artworks hand-painted with egg tempera, pigments, and wax. Her haunting imagery explores the confluence of time, identity, and memory. Notable exhibitions include: Kyiv Museum of History, Copenhagen Photography Festival, and Phoenix Art Museum; awards include: 2017 Hariban Award Shortlist, 2017 10th International Color Awards, 2016 Chelsea International Art Competition Prize Winner, Governor General of Canada’s Sovereign Medal. Maruschak gained an MA in Ethnography and an MBA. ©Maki Hayashida (Japan) Smoke Investigation 1, 2017, “Smoke Investigation” is an introduction part of my on-going project “A Voice in the Wilderness”. The project is about the biggest illegal dumping case in Japan, the Teshima incident. Teshima is an island floating in the Seto Inland Sea. 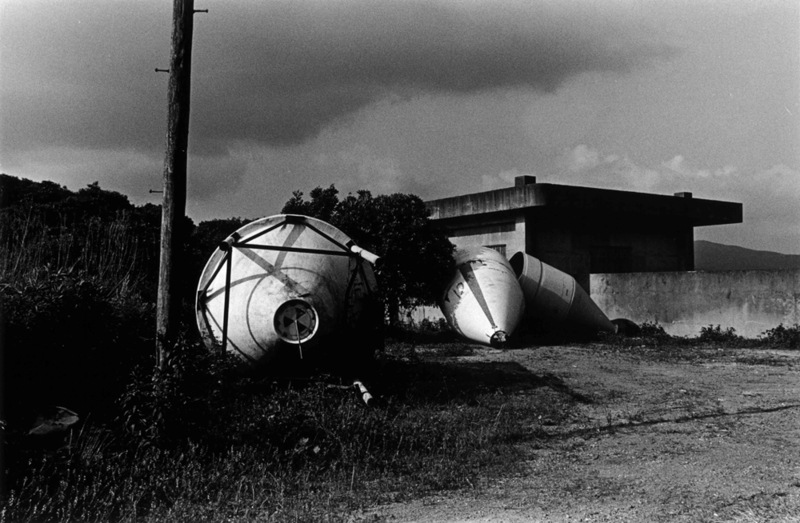 A huge volume of industrial waste was illegally dumped between 1975 and the 1980s in Teshima. 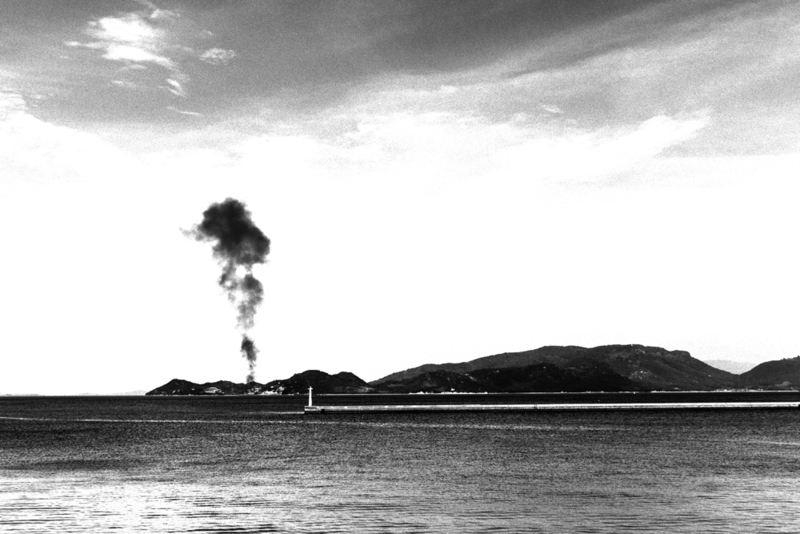 The garbage from unauthorized dumping was buried in the sand or piled up in heaps and burnt, causing black smoke to rise here and there. Based on this fact, I’ve drawn black smoke on the landscapes taken in July 2017, after the completion of cleaning the island in June. 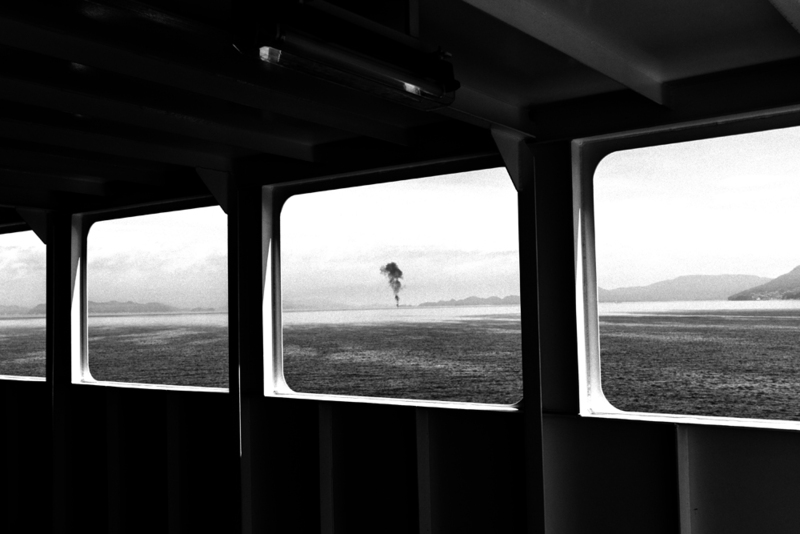 ©Maki Hayashida (Japan) Smoke Investigation 2, 2017, “Smoke Investigation” is an introduction part of my on-going project “A Voice in the Wilderness”. The project is about the biggest illegal dumping case in Japan, the Teshima incident. Teshima is an island floating in the Seto Inland Sea. A huge volume of industrial waste was illegally dumped between 1975 and the 1980s in Teshima. The garbage from unauthorized dumping was buried in the sand or piled up in heaps and burnt, causing black smoke to rise here and there. Based on this fact, I’ve drawn black smoke on the landscapes taken in July 2017, after the completion of cleaning the island in June. ©Maki Hayashida (Japan) Smoke Investigation 3, 2017, “Smoke Investigation” is an introduction part of my on-going project “A Voice in the Wilderness”. The project is about the biggest illegal dumping case in Japan, the Teshima incident. Teshima is an island floating in the Seto Inland Sea. A huge volume of industrial waste was illegally dumped between 1975 and the 1980s in Teshima. The garbage from unauthorized dumping was buried in the sand or piled up in heaps and burnt, causing black smoke to rise here and there. Based on this fact, I’ve drawn black smoke on the landscapes taken in July 2017, after the completion of cleaning the island in June. 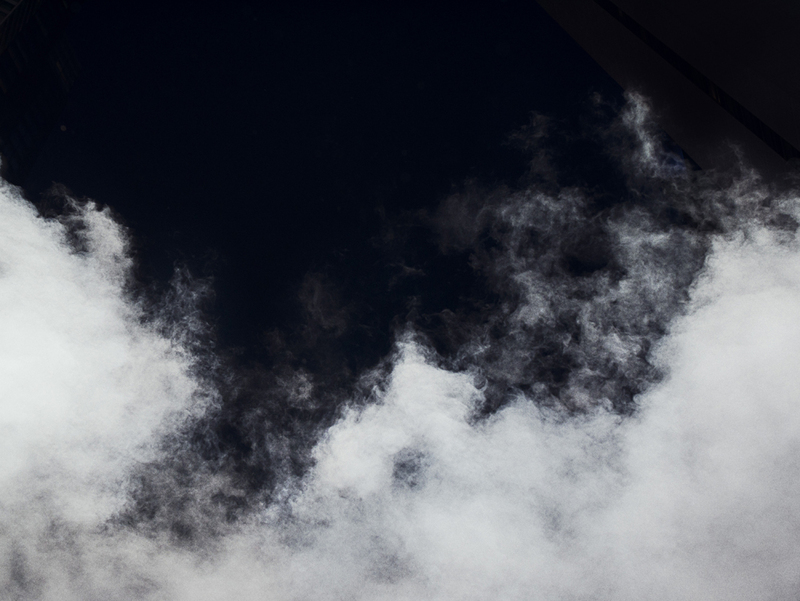 ©Maki Hayashida (Japan) Smoke Investigation 4, 2017, “Smoke Investigation” is an introduction part of my on-going project “A Voice in the Wilderness”. The project is about the biggest illegal dumping case in Japan, the Teshima incident. 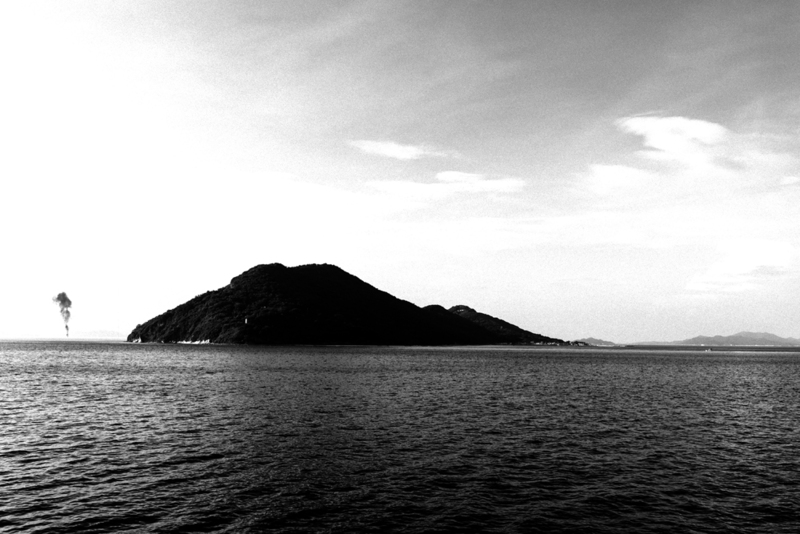 Teshima is an island floating in the Seto Inland Sea. A huge volume of industrial waste was illegally dumped between 1975 and the 1980s in Teshima. The garbage from unauthorized dumping was buried in the sand or piled up in heaps and burnt, causing black smoke to rise here and there. 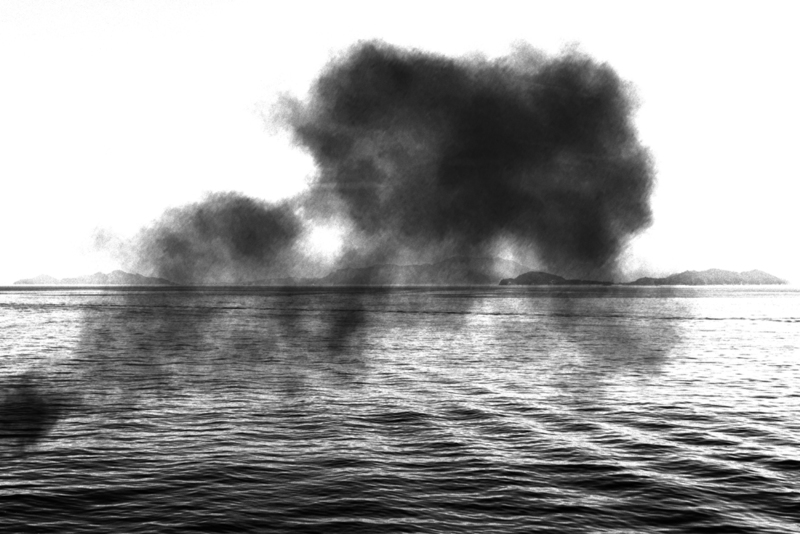 Based on this fact, I’ve drawn black smoke on the landscapes taken in July 2017, after the completion of cleaning the island in June. ©Margaret Lansink (The Netherlands) Borders of Nothingness 1, 2017, Visual investigation of the relationship between humans and their (physical) environment is my focus. The way I photograph is purely intuitive; my images present an open, honest reflection of my inner emotions at a certain time, space and interaction. Margaret received a BA from the Photo Academy in Amsterdam. Recently her work was exhibited in Amsterdam, Rotterdam, Leiden, New York, Japan, Georgia & Lithuania. Her work was awarded the Dutch New Talent 2013, the Big Print Photo contest Amsterdam in 2015, and the Bronze Star Award for fine art book at ND Awards in 2016. In 2016 she was rewarded with an AIR with Kaunas Gallery in Lithuania and in 2017 with Shiro Oni Studio in Japan. 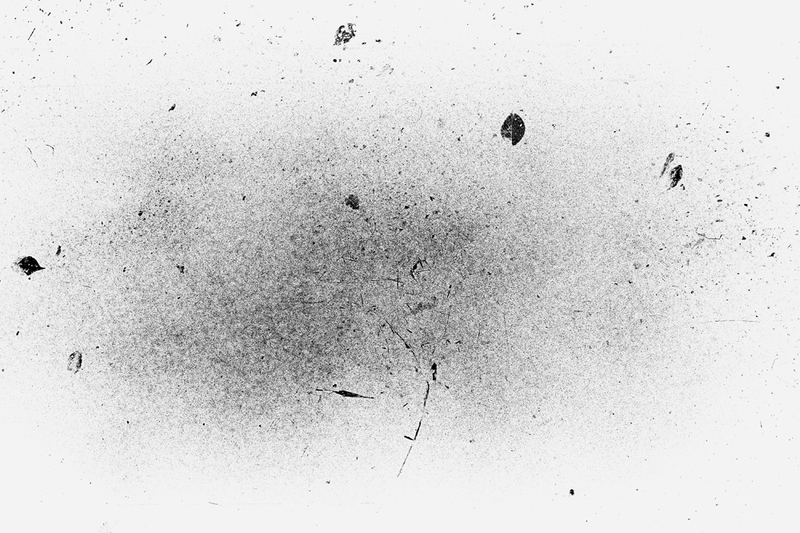 ©Margaret Lansink (The Netherlands) Borders of Nothingness 2 2017, Visual investigation of the relationship between humans and their (physical) environment is my focus. The way I photograph is purely intuitive; my images present an open, honest reflection of my inner emotions at a certain time, space and interaction. 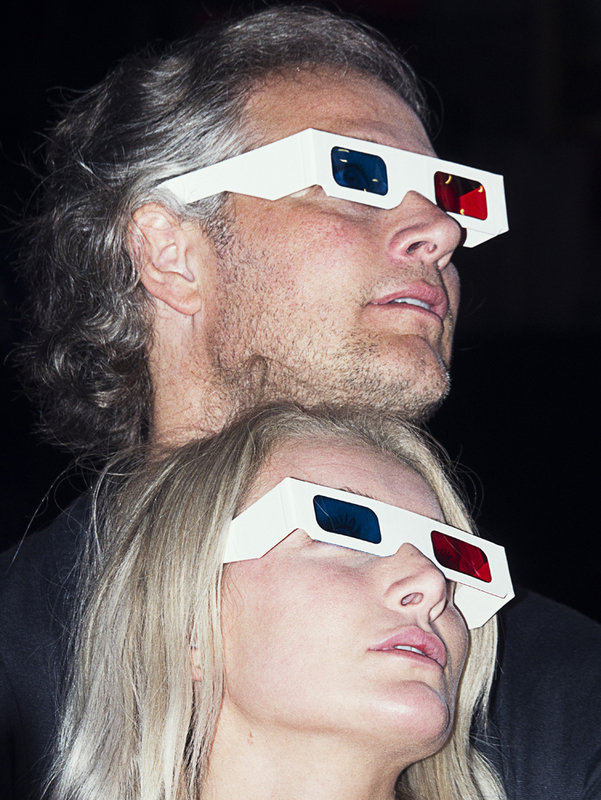 Margaret received a BA from the Photo Academy in Amsterdam. Recently her work was exhibited in Amsterdam, Rotterdam, Leiden, New York, Japan, Georgia & Lithuania. Her work was awarded the Dutch New Talent 2013, the Big Print Photo contest Amsterdam in 2015, and the Bronze Star Award for fine art book at ND Awards in 2016. In 2016 she was rewarded with an AIR with Kaunas Gallery in Lithuania and in 2017 with Shiro Oni Studio in Japan. ©Margaret Lansink (The Netherlands) Borders of Nothingness 3, 2017, Visual investigation of the relationship between humans and their (physical) environment is my focus. The way I photograph is purely intuitive; my images present an open, honest reflection of my inner emotions at a certain time, space and interaction. Margaret received a BA from the Photo Academy in Amsterdam. Recently her work was exhibited in Amsterdam, Rotterdam, Leiden, New York, Japan, Georgia & Lithuania. Her work was awarded the Dutch New Talent 2013, the Big Print Photo contest Amsterdam in 2015, and the Bronze Star Award for fine art book at ND Awards in 2016. In 2016 she was rewarded with an AIR with Kaunas Gallery in Lithuania and in 2017 with Shiro Oni Studio in Japan. ©Margaret Lansink (The Netherlands) Borders of Nothingness 4, 2017, Visual investigation of the relationship between humans and their (physical) environment is my focus. The way I photograph is purely intuitive; my images present an open, honest reflection of my inner emotions at a certain time, space and interaction. Margaret received a BA from the Photo Academy in Amsterdam. Recently her work was exhibited in Amsterdam, Rotterdam, Leiden, New York, Japan, Georgia & Lithuania. Her work was awarded the Dutch New Talent 2013, the Big Print Photo contest Amsterdam in 2015, and the Bronze Star Award for fine art book at ND Awards in 2016. In 2016 she was rewarded with an AIR with Kaunas Gallery in Lithuania and in 2017 with Shiro Oni Studio in Japan. 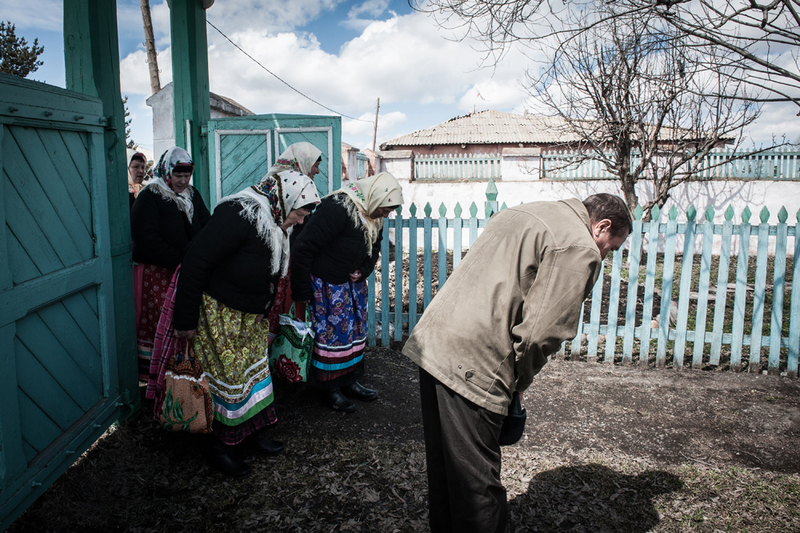 ©Mattia Vacca (Italy) From the series: “The Last Days of Doukhobors’ Disappearing Community”, 2017, The Doukhobors are a Christian sect exiled from Russia. 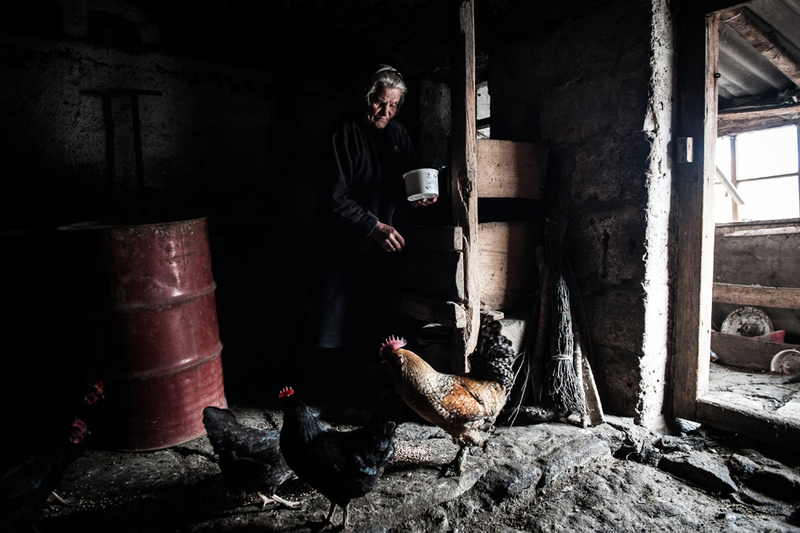 They settled their community in remote Georgian villages. In Gorelovka, once their spiritual center, there are 145 left. Their ineluctable exodus north could spell the end of an entire culture. 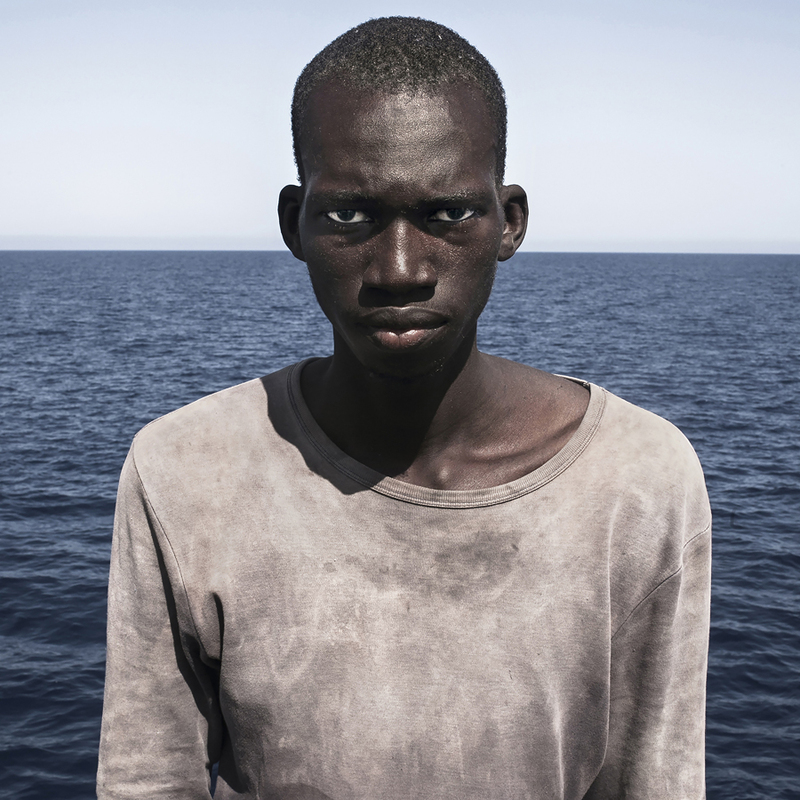 Mattia Vacca is a freelance photojournalist and a documentary photographer. For ten years, he was a daily contributor for Corriere della Sera covering breaking news stories in Northern Italy. He is currently working on various personal projects focused on social issues and the consequences of armed conflicts around the world. He received numerous awards, including Sony World Photography Awards and Royal Photographic Society Awards. 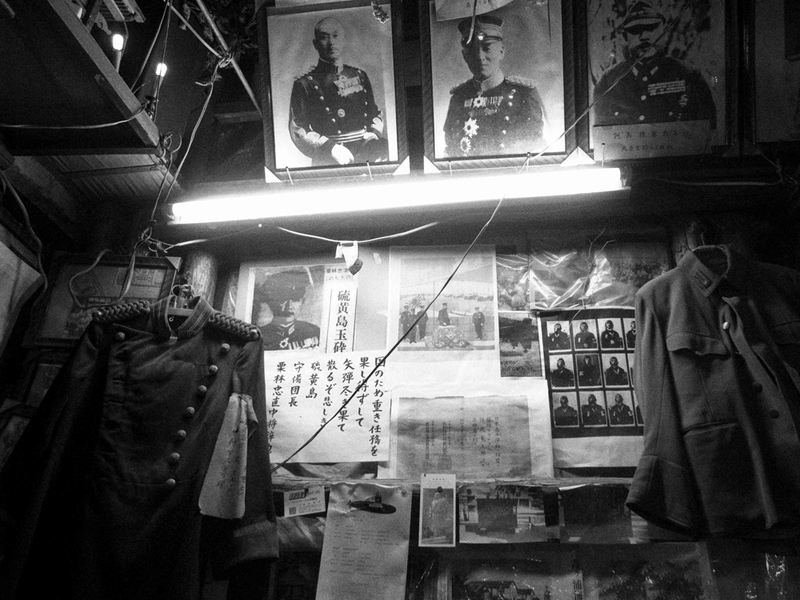 His photographs have been exhibited in galleries and festivals worldwide. ©Paul Castro (UK) Maputo 1, 2017, These images were taken in Maputo, Mozambique. A settler city named Lourenço Marques before 1975, Maputo was re-baptised after independence as part of the dismantling of colonialism. Nevertheless, more than four decades later, inequalities of race and class stubbornly persist. I took these images in the course of a research visit to Maputo, where I worked in the archives of Ricardo Rangel (1924-2009), the doyen of local photojournalism. Rangel’s images are notable today for their depiction of social inequalities under Portuguese colonialism. My own photographic engagement with the city allowed me to reflect on both the vast changes since independence in 1975 and the discomfiting continuities of white privilege, gated spaces and endemic poverty. 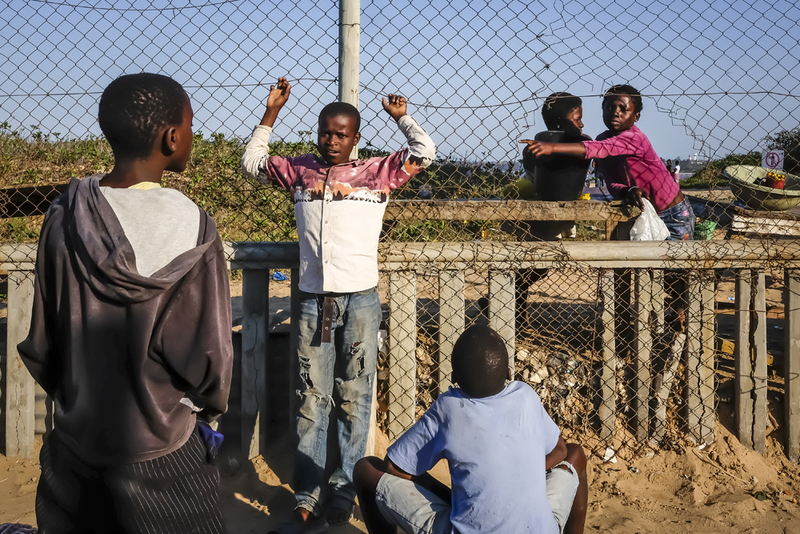 ©Paul Castro (UK) Maputo 4, 2017, These images were taken in Maputo, Mozambique. A settler city named Lourenço Marques before 1975, Maputo was re-baptised after independence as part of the dismantling of colonialism. Nevertheless, more than four decades later, inequalities of race and class stubbornly persist. I took these images in the course of a research visit to Maputo, where I worked in the archives of Ricardo Rangel (1924-2009), the doyen of local photojournalism. Rangel’s images are notable today for their depiction of social inequalities under Portuguese colonialism. 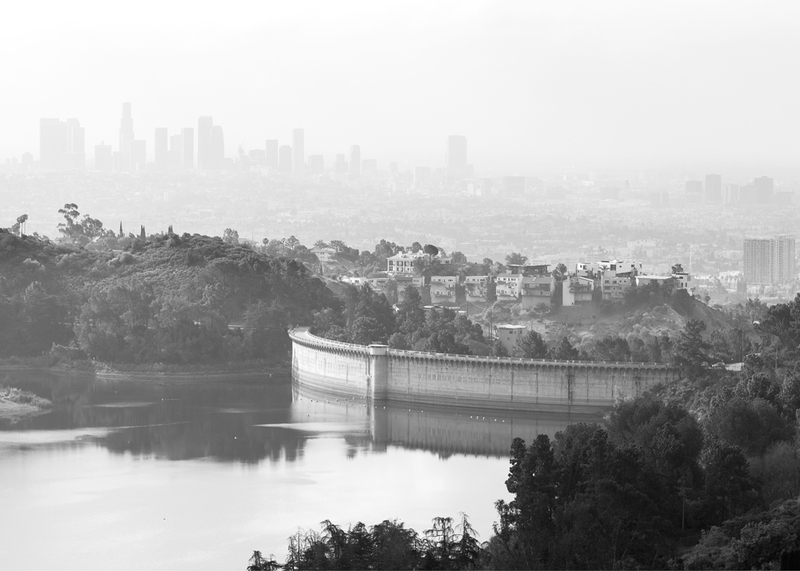 My own photographic engagement with the city allowed me to reflect on both the vast changes since independence in 1975 and the discomfiting continuities of white privilege, gated spaces and endemic poverty. ©Rachael Bint (UK) Untitled 2, 2017, Land and water collide. Edges are redrawn, laying one surface over another. 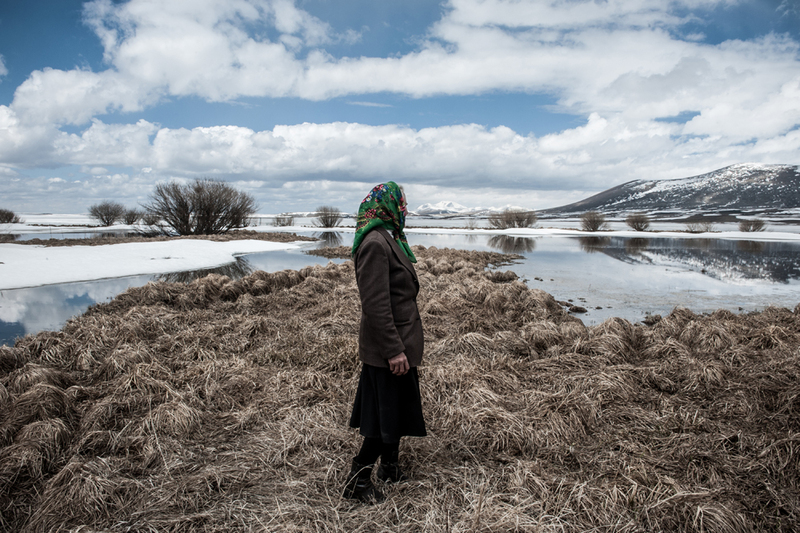 The Land, the Water explores the ambiguous spaces found between those borders. These photographs are renderings of surface and movement, obscured by the rise and fall of water. 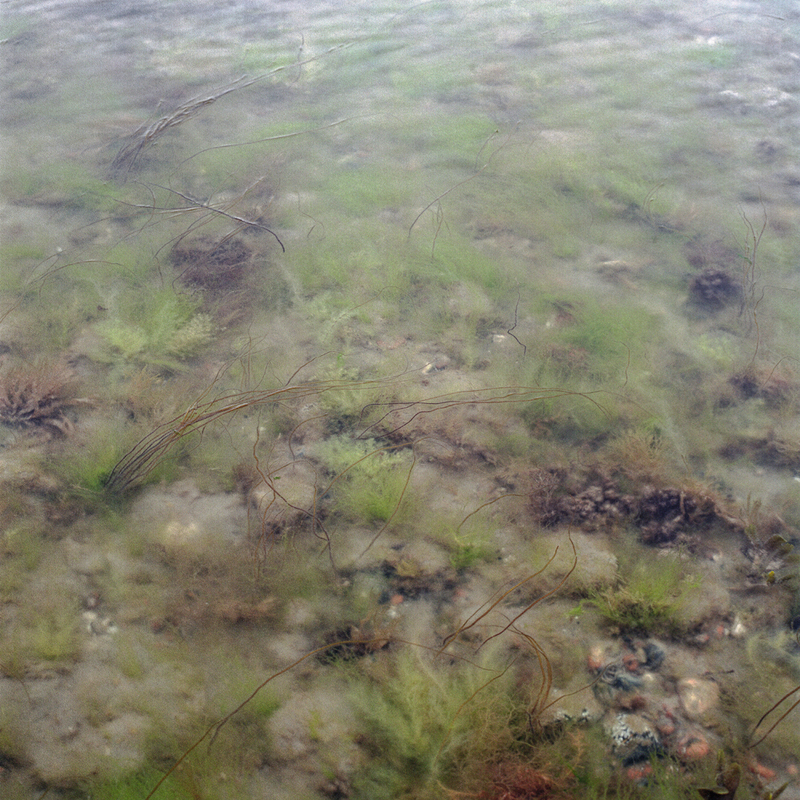 Rachael Bint is a British photographer whose work explores ideas of landscape and the complexities of water. ©Rachael Bint (UK) Untitled 4, 2017, Land and water collide. Edges are redrawn, laying one surface over another. 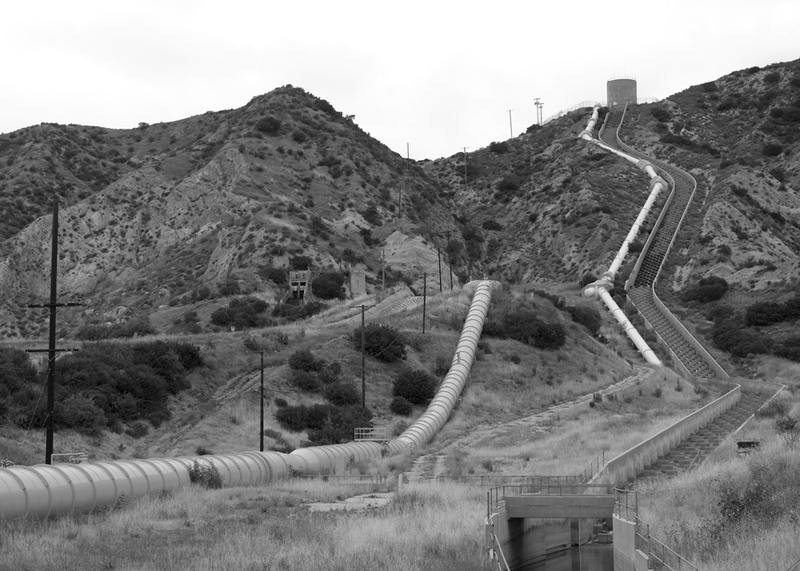 The Land, the Water explores the ambiguous spaces found between those borders. 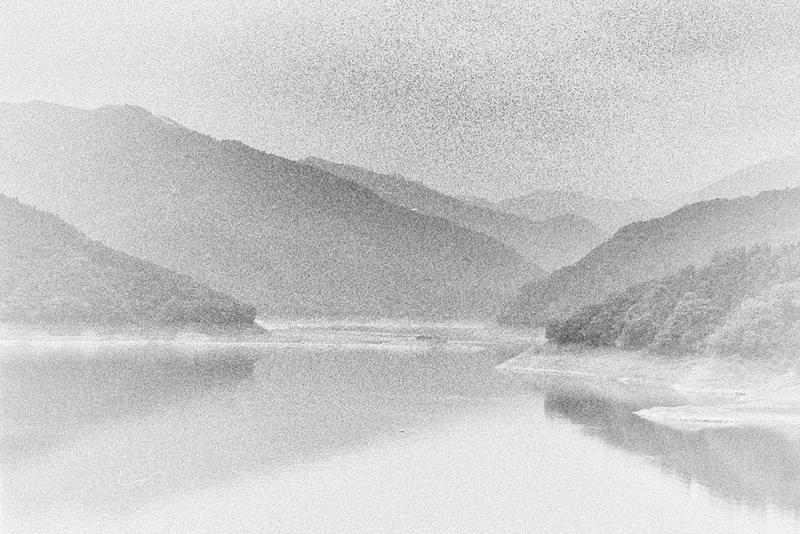 These photographs are renderings of surface and movement, obscured by the rise and fall of water. 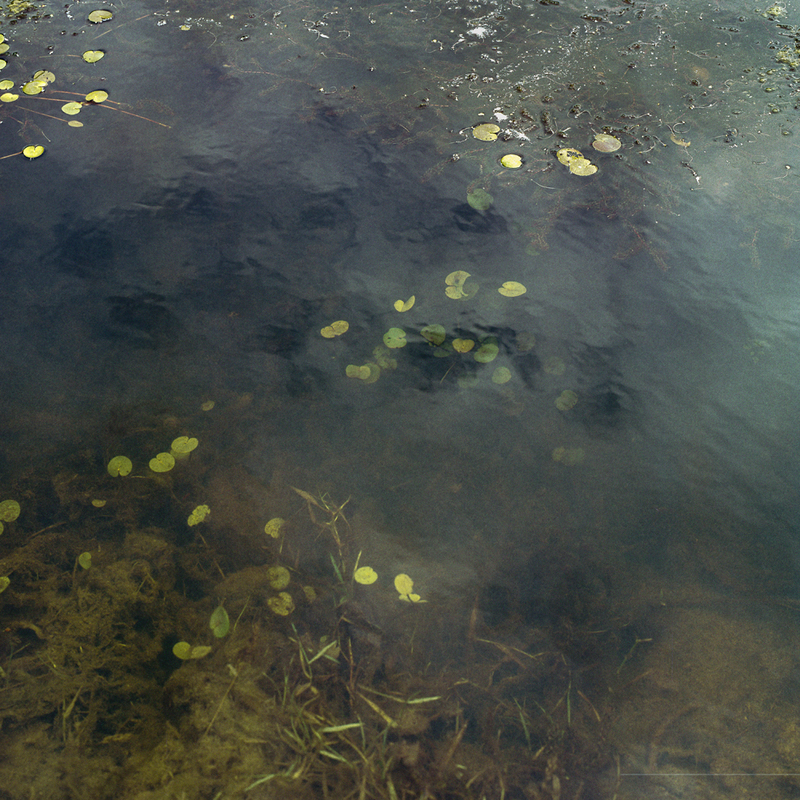 Rachael Bint is a British photographer whose work explores ideas of landscape and the complexities of water. ©Vera Hadzhiyska (Bulgaria, UK) Vera 1, 2017, Vera Hadzhiyska a photographer, mixed media artist and aspiring curator based between the UK and Bulgaria. 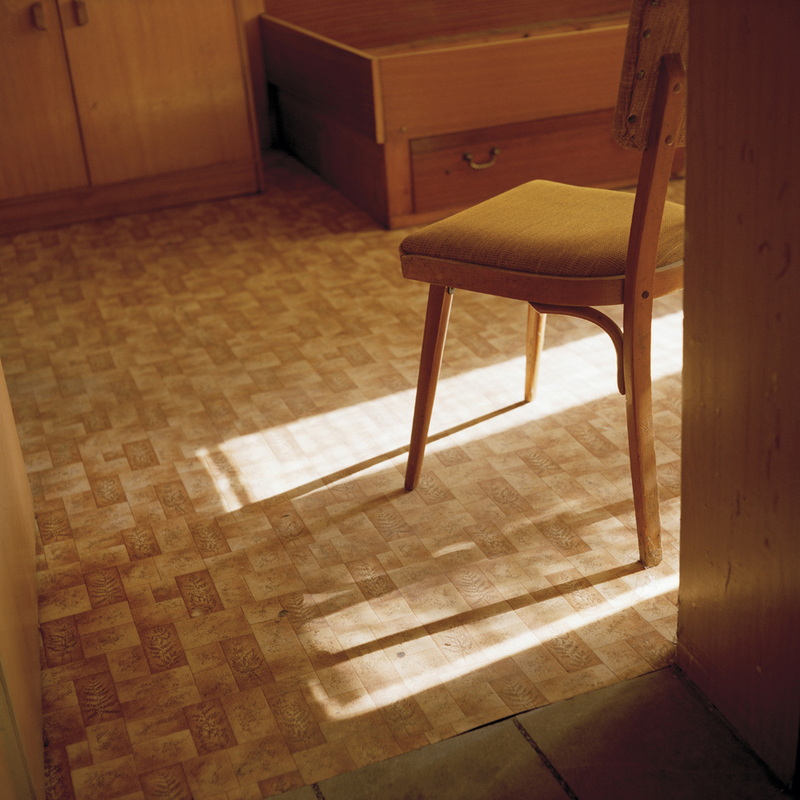 Her current work investigates the forceful change of names, religion, traditions and language of a significant part of the Bulgarian population during the Revival Process (1970s – 90s) in Bulgaria. 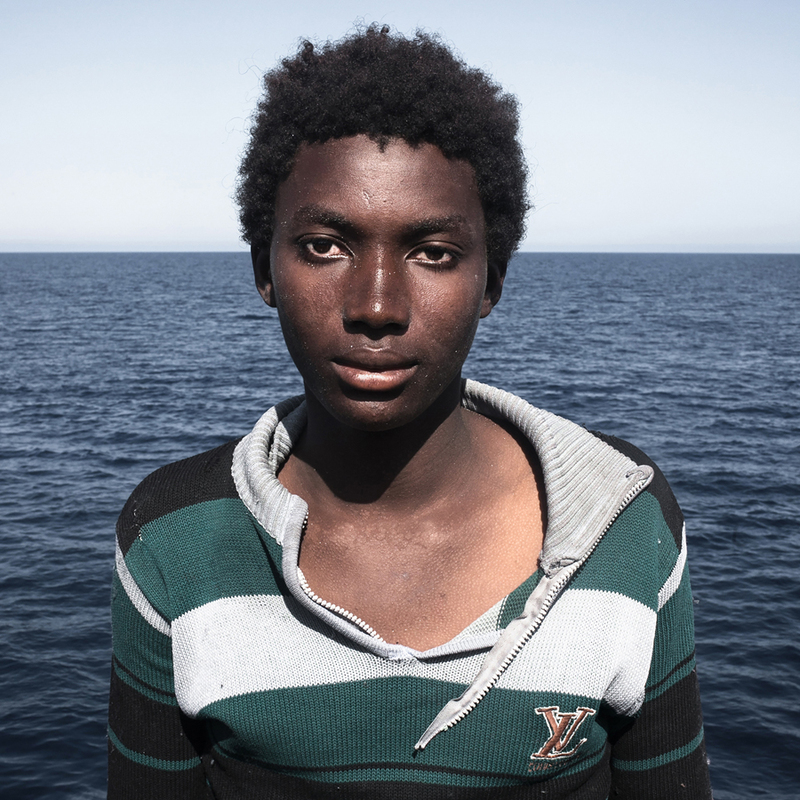 The study of migration, cultural identity and collective memory is central to Vera’s work. 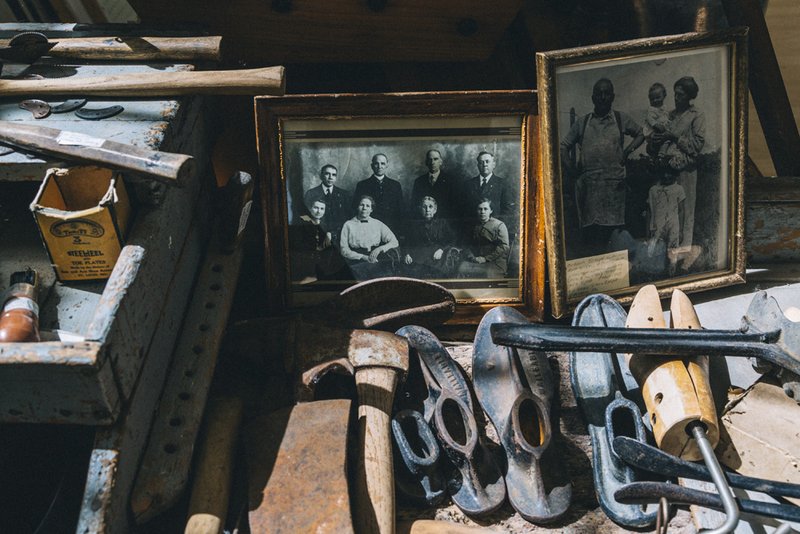 It has led to the interrogation of personal and family narratives in connection to migration, national history and politics in Bulgaria and Eastern Europe. She is interested in how these historical events have affected the cultural and national identity of the people and their descendants. ©Vera Hadzhiyska (Bulgaria, UK) Vera 3, 2017, Vera Hadzhiyska a photographer, mixed media artist and aspiring curator based between the UK and Bulgaria. 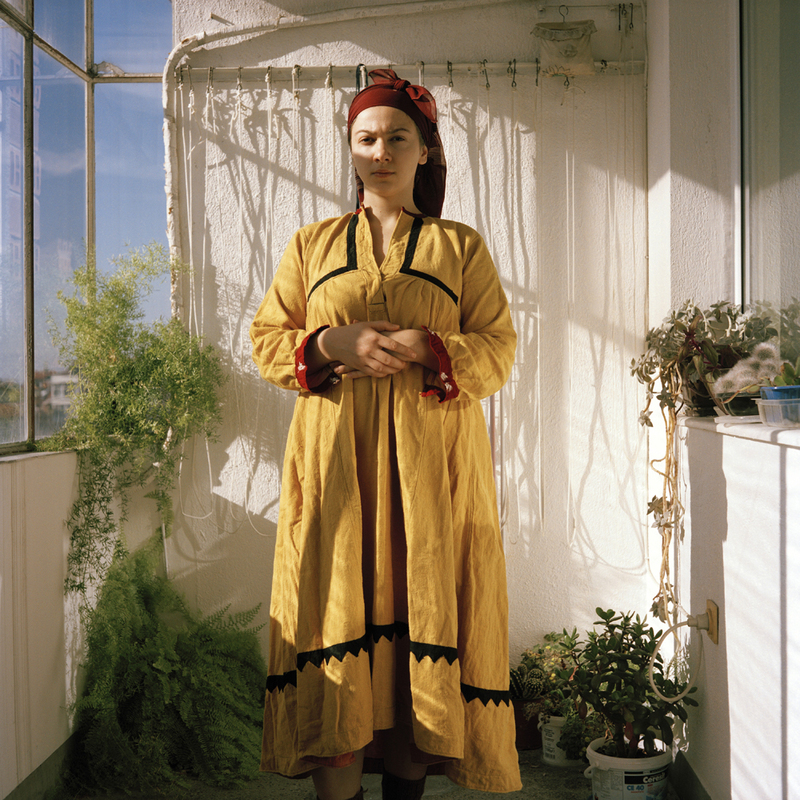 Her current work investigates the forceful change of names, religion, traditions and language of a significant part of the Bulgarian population during the Revival Process (1970s – 90s) in Bulgaria. 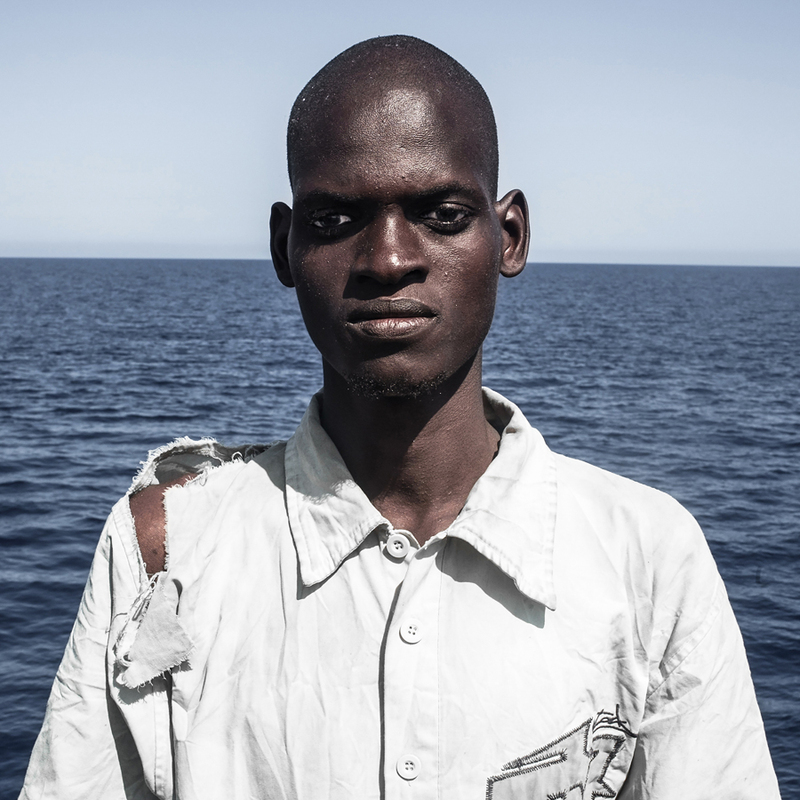 The study of migration, cultural identity and collective memory is central to Vera’s work. 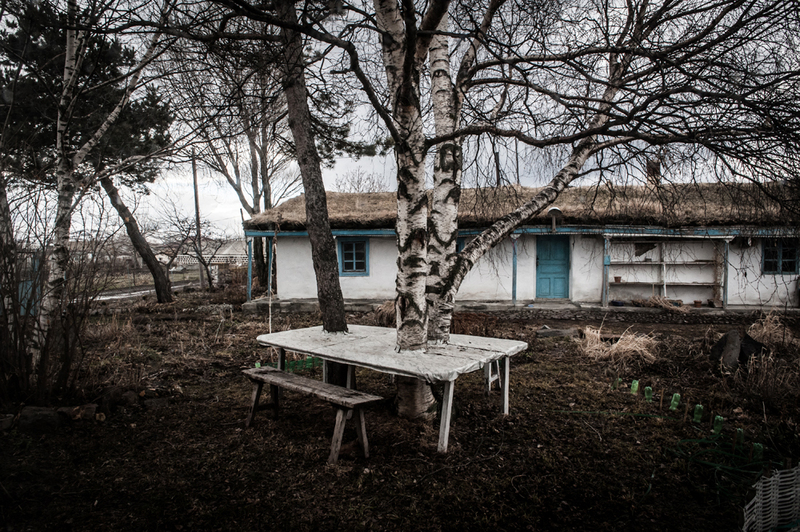 It has led to the interrogation of personal and family narratives in connection to migration, national history and politics in Bulgaria and Eastern Europe. She is interested in how these historical events have affected the cultural and national identity of the people and their descendants. This year’s festival is self-funded and is supported by partner venues, Palm Labs, Birmingham and KBM Framing Gallery, Bloxwich. It is with thanks to the generosity of all of the photographers involved, who have offered their work for festival submission, and to our festival partners, sponsors and supporters, that we are able to stage the festival for the viewing public.